Feeling pretty giddy and excited today. Today is the opening of the gallery show: Textiles: American Contemporary Quiltmaking at the Watermark Gallery in Providence, Rhode Island, and I am honored to have two quilts hanging in that show. 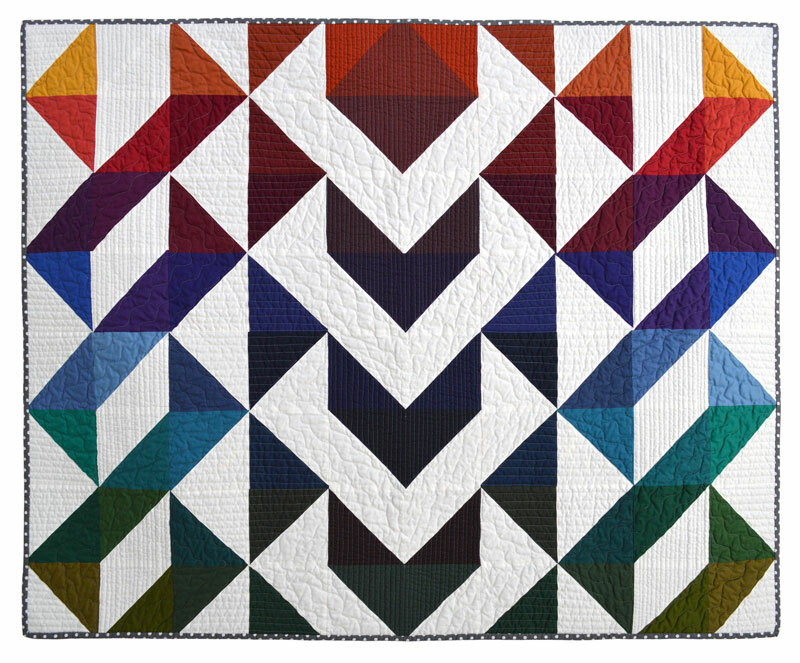 My friend Bill Volckening is a quilt collector and writer who is a quilt fan. His love of quilts is extremely inspiring to me. He has curated this show and the artists he pulled together are quite varied, and from all over the United States. I am truly humbled to be a part of this group. I really wish I could make the trip to see it myself! 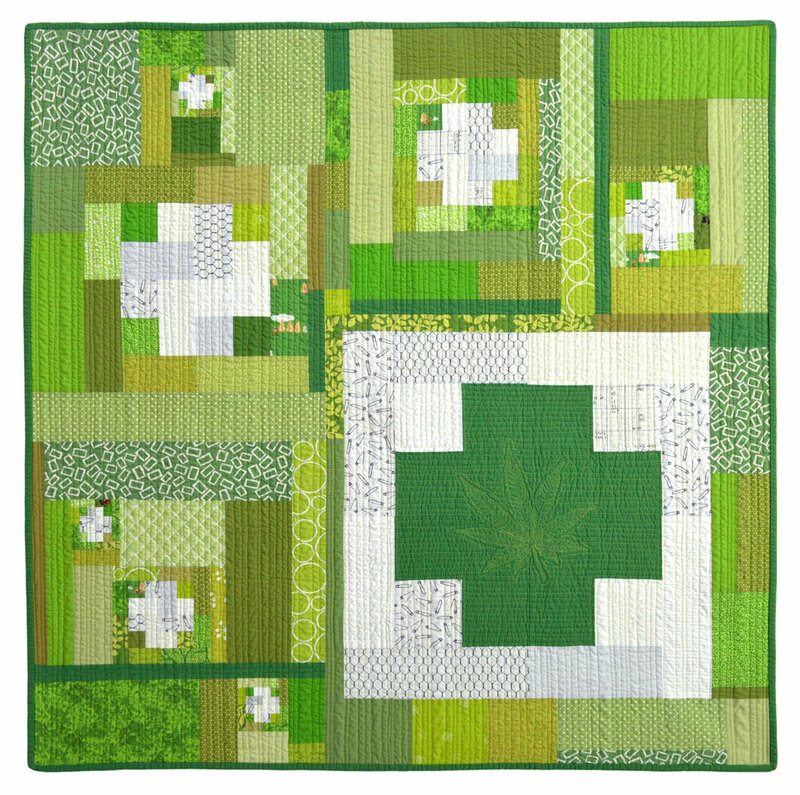 “Ocean’s of Blue” and “Green Gardens” were both commissions for Bill’s family, and he entered them in this show along with the Red Heart quilt he received from Penny Barnes after a recent health emergency he had – you can read more about that quilt here. I think the three quilts look amazing together, and am thrilled to see them hanging like this! This show is happening only today and tomorrow – so if you’re near Portland, it might be something to check out!